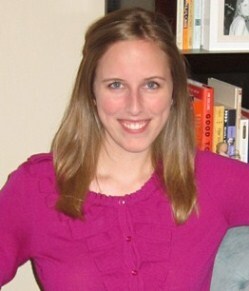 On Tuesday evening, we met at N's place to discuss The Happiness Project by Gretchen Rubin. N. served up a whole spread of cheese and crackers, dips and chips, little puff pastries and mini quiches. The five of us sipped peach sparkling wine and sat on the deck, enjoying the late summer evening. It seemed like many of us got a few nuggets of wisdom, ideas, advice from the book. But at the same time, there were plenty of things that the author tried in her pursuit of greater happiness that didn't resonate with us personally. As Rubin says, a happiness project is inherently personal. Each person's idea of what happiness is and the sources from which they find happiness will be different. I found it a little overwhelming how many daily/weekly activities or routines Rubin included. Sure, she weeded some out along the way when she found they weren't working for her, but a ten-minute clean-up time, a daily entry in her gratitude journal, etc. sounded like a lot of work to keep up. I think the trick is finding what brings happiness and meaning without adding a bunch of stuff to your to-do list. And while it's admirable that Rubin fesses up to her weaknesses and bad habits in order to improve upon them, the focus on her negative aspects also made me wonder if we were seeing a full and accurate picture of who she really is. Throughout the book, there were plenty of ideas that reminded me what's important. By focusing on what really matters and remembering how life flies by, we can find greater joy in the everyday. The smallest things can make the biggest impact, even if it's something as simple as laughing more, maintaining a clean and organized home, or actually using those "nice" things we store away for the "right" occasion (china, fancy clothes, etc). C. asked me if I could relate more to the book because I'm a writer like Rubin is, especially the line "(Well, I don't actually love writing, but then practically no writer actually loves the writing part.)" That statement certainly contains some truth—writing is hard, and while I love the end product, those bursts of creativity, those moments when the words come out just as I had hoped, it's a bit like exercise. You feel great afterwards, sometimes you feel great during it, but it's tough to get started. So perhaps in some ways, I can understand Rubin's work better as a fellow writer, but I think we are quite different people as far as personality. 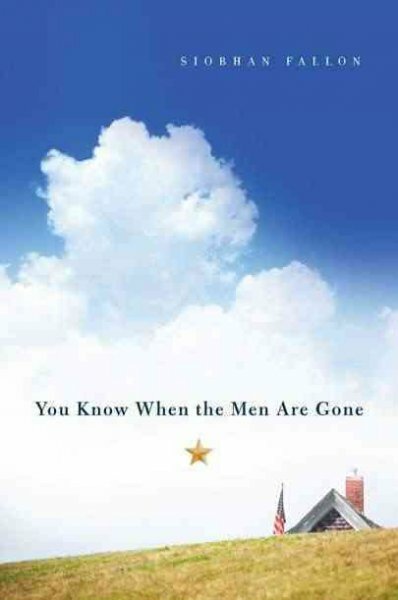 Onto the next selection... we're going to read You Know When the Men Are Gone by Siobhan Fallon, a collection of short stories about the lives of military families while they wait for their men to come home. I am glad I am not the only one thinking it. I love...like writing,but I do not always enjoy it. I have struggled with that reality for most of my "aware" life. " I like the sentence "Well, I don't actually love writing, but then practically no writer actually loves the writing part." My world is at its peak when i have "those bursts of creativity, those moments when the words come out just as I had hoped" It sure can be tough, but I do feel a lot better after I start. I like the writing part... most days. When you mentioned the book club, I thought you meant that's when the men are gone, like, "The book club, you know... when the men are gone."